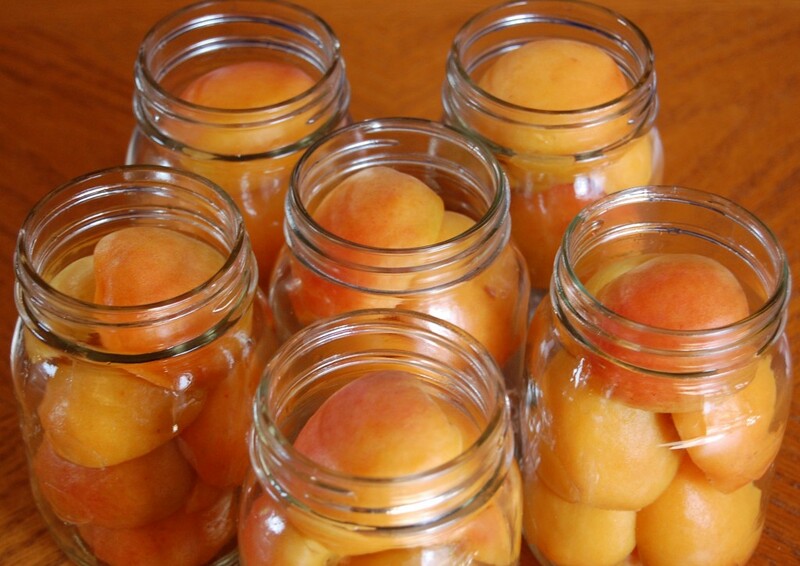 Cut apricots in half and remove the pit. (Submerge the fruit in a mixture of 1/4 cup lemon juice and 4 cups cold water to prevent browning and drain.) 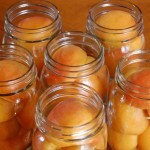 Pack apricots, cavity side down and overlapping layers, into sterilized canning jars, leaving 1/2 inch headspace. Combine 3 3/4 cups water and sugar in a saucepan, slowly bring to a boil, Remove from heat when sugar is completely dissolved. Pour lemon juice over the fruit. Ladle hot syrup over fruit, leaving a 1/2-inch headspace. Remove air bubbles and wipe the rims. Center lids on jars. Apply bands and adjust to fingertip tight. Process jars in a boiling water canner for 25 minutes (start timing when the water returns to boil) adjusting for altitude. After processing, place the jars on a towel, to cool. Check lids for seal after 24 hours. Lid should not flex up and down when center is pressed.